Sugar is pure carbohydrate, a nutrient that supplies energy to the body. The chemical name for table sugar is sucrose. Sucrose occurs naturally in every fruit and vegetable in the plant kingdom. It is a product of photosynthesis: the process by which plants transform the sun's energy into food. This article uses the term "sugar" loosely to refer to all forms of caloric sweeteners, but is mainly referring to just sucrose for our international audience. The excess consumption of added sugar, and especially soda, as a global health problem has been documented quite well in Globesity: Fat's New Frontier. To improve your nutrition always check the food labels on what you eat. If any form of sugar is listed as one of the first few ingredients, it is a main component of the food by weight. Accordingly, that food item should be avoided. Consuming unsweetened products will improve your nutrition. Start by NOT consuming any food product that contains sugar listed as one the first 3 food ingredients. There is a very real big difference between added sugars and naturally occurring sugars. For better nutrition, remember that natural whole foods are a contributor of nutrients; while Dead Foods are users of nutrients. Is the primary cause of the worldwide obesity epidemic. Historically, table sugar was the predominant caloric sweetener. Other historically used sweeteners included honey and molasses. Over the past 50 years, however, many new forms of sweeteners have been developed. These include corn syrup, fructose, high-fructose corn syrup and maltose. These new sweeteners have replaced sugar as the primary sweetener in processed foods and beverages, since 1982 in the United States. By reading food labels, you may be surprised at how much sugar is in foods you never considered very sweet. Food processors often add sugar to many products such as lemonade, applesauce, and even whole grain bread. The single dietary change with the biggest impact upon dramatically improving everyone's nutrition and personal health would be to stop consuming Added Sugar. While the concept is easy to grasp, adapting to a ZERO sugar diet is hard to accomplish due to sugar addiction being constantly promoted by fast, junk, and processed foods, not to mention the media. Most people will have to work at losing their sweet tooth, and especially breaking the bad habit of drinking sugary beverages. In many cases, the presence of added sugar is not really necessary or natural to the product. Food processors add sugar to their foods to make them taste better, as well as mask high levels of salt. Often, sugar has been added merely to cater to the Western sweet tooth. Hence, the term added sugar refers to sugars that can be easily removed from your diet. All you have to do is consume products without any added sugar, such as unsweetened applesauce for example. Anybody interested in good health should reduce his or her consumption of added sugar. A modest goal would be to reduce your sugar consumption to only 15% of total calories consumed . "Current recommendations from the American Institute for Cancer Research and other leading health authorities advise that sugar provide no more than 10 percent of our daily calories. For sedentary or older women, that's about 10 teaspoons of sugar (40 grams) a day, while for most men, active women and older children it is close to 14 teaspoons of sugar (56 grams). This may sound like a lot, but you can get most of that from just one can of regular soda." Added sucrose, or table sugar, is responsible for creating an international obesity epidemic. In general, excess consumption of sugar can produce undesirable changes in metabolic risk factors associated with heart disease, such as blood triglycerides, total cholesterol and its lipoprotein distribution, and insulin . A diet high in saturated fat can magnify the adverse metabolic effects of the sugars ,. Excess sugar can depress HDL levels. The effects of dietary sugars on triglycerides ,, is more pronounced than on cholesterol levels. Men tend to have more pronounced changes in triglycerides than women . A small segment of the population characterized by high levels of triglycerides and insulin may be at a substantially higher risk than is the general population from the excess consumption of sugars . "Ordinary in takes of sucrose or fructose do not have any special elevating effect on plasma triglycerides in most normal and diabetic people, provided energy balance is not changed. ... In humans, increased (fasting) triglycerides are observed with very high in takes, > 35% of energy from sucrose or > 20% of energy from fructose". Thus, to improve your nutrition you don't have to remove all sugar from your diet. Just cut back on added sugar to a reasonable level. Starting out by NOT drinkin any sugar-based beverage, such as Pepsi or Coca-Cola, will dramatically improve your nutrition. You should always check the food labels on the foods that you eat. If any form of sugar is listed as one of the first few ingredients, it is a main component of the food by weight. Moreover, to improve your nutrition that food item should be avoided. Remember, sugars are listed on food labels under many different terms such as brown sugar, corn syrup, dextrose, fructose, glucose, high-fructose corn syrup, honey, lactose, maltose, sorbitol, and sucrose. When you eat a naturally sweet whole food, you are getting a complete package that contains a lot of antioxidants, fiber, and other nutrients (ex., phytochemicals, Phenolic acids, and flavonoids). Dark molasses is the classic example of a whole food that can be substituted for sugar in your diet. Antioxidants that have been identified in honey include phenolic compounds, ascorbic acid and the enzymes glucose oxidase, catalase and peroxidase ,. 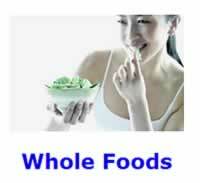 Hence, whole foods are a contributor of nutrients to your diet. Whereas when you eat added sugar, you are getting none of these important ingredients. Since, added sugar contributes nothing but calories it is known as a "dead food" or as a user of nutrients. Moreover, the more added sugar consumed the more nutrients are used up. From the Natural Health Perspective, there is a very real big difference between added sugars and naturally occurring sugar. In addition, Mother Nature naturally packages whole fruits with lots of fiber. In conclusion: the Natural Health Perspective encourages everyone to improve their nutrition by reducing added sugar in their diet to the lowest levels possible. Everyone can start getting healthier today by choosing to consume unsweetened products, whenever possible. Reducing your levels of dietary sugars is an important health strategy. Start out by cutting all sugar-based beverages from your diet. Once, all forms of added sugar have been removed you can then proceed to monitor your intake of natural sugars found in fruit and fruit juices. 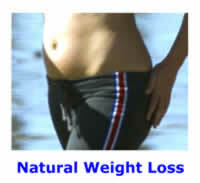 Starchy foods, however, with a high natural content of dietary fiber need not be removed from your diet . How to remove Added Sugar from your diet. Excess Sugar in your diet has global effects. In recent years, sugar prices have soared which has helped High-Fructose Corn Syrup (HFCS) to creep into the worldwide process food market. However, quotas that are designed to protect the sugar industry limits its use in many countries. The increasing use of corn syrup as a replacement sweetener is rapidly becoming a worldwide problem. HFCS keeps processed foods moist, boosts their shelf life, as well as bulk up baked goods. High-Fructose Corn Syrup is known simply as corn syrup in many countries, isoglucose or glucose-fructose syrup in the EU, glucose-fructose syrup in the UK, glucose/fructose in Canada, and high-fructose maize syrup in other foreign countries. HFCS is making big inroads in both the Mexican and Chinese markets. Use of corn syrup as a replacement sweetener increases the consumption of process food, as well as is more addictive than table sugar. Select Committee on Nutrition and Human Needs, US Senate, Dietary Goals for the United States (Washington, DC: US Government Printing Office, 1977). American Institute for Cancer Research, Sugar Where You Don't Expect It, Week of January 5 1998. Truswell AS. Food carbohydrates and plasma lipids--an update. Am J Clin Nutr, 1994 Mar, 59:3 Suppl, 710S-718S. Reiser S. Effect of dietary sugars on metabolic risk factors associated with heart disease. Nutr Health, 1985, 3:4, 203-16. Yudkin J; Eisa O; Kang SS. Dietary sucrose affects plasma HDL cholesterol concentration in young men. Ann Nutr Metab, 1986, 30:4, 261-6. Albrink MJ; Ullrich IH. Interaction of dietary sucrose and fiber on serum lipids in healthy young men fed high carbohydrate diets. Am J Clin Nutr, 1986 Mar, 43:3, 419-28. Marckmann P; Raben A; Astrup A. Ad libitum intake of low-fat diets rich in either starchy foods or sucrose: effects on blood lipids, factor VII coagulant activity, and fibrinogen. Metabolism, 2000 Jun, 49:6, 731-5. Archer SL; Liu K; Dyer AR. Relationship between changes in dietary sucrose and high density lipoprotein cholesterol: the CARDIA study. Coronary Artery Risk Development in Young Adults. Ann Epidemiol, 1998 Oct.
"We conclude that glucose intake stimulates ROS [reactive oxygen species] generation ...; increases oxidative load and causes a fall in alpha-tocopherol concentration." "Honey has great potential to be used as a natural source of antioxidants to reduce the negative effects of PPO [Polyphenol oxidase] browning in fruit and vegetable processing." "A sugar solution resembling honey in its high sugar content was made. The antimicrobial activities of both honey and this solution... were examined. The results achieved by both were compared. The difference between them indicated the presence of antimicrobial substance(s) in honey. ... Two important classes of these inhibines are the flavonoids and the phenolic acids." Welsh JA, Sharma A, Abramson JL, ..